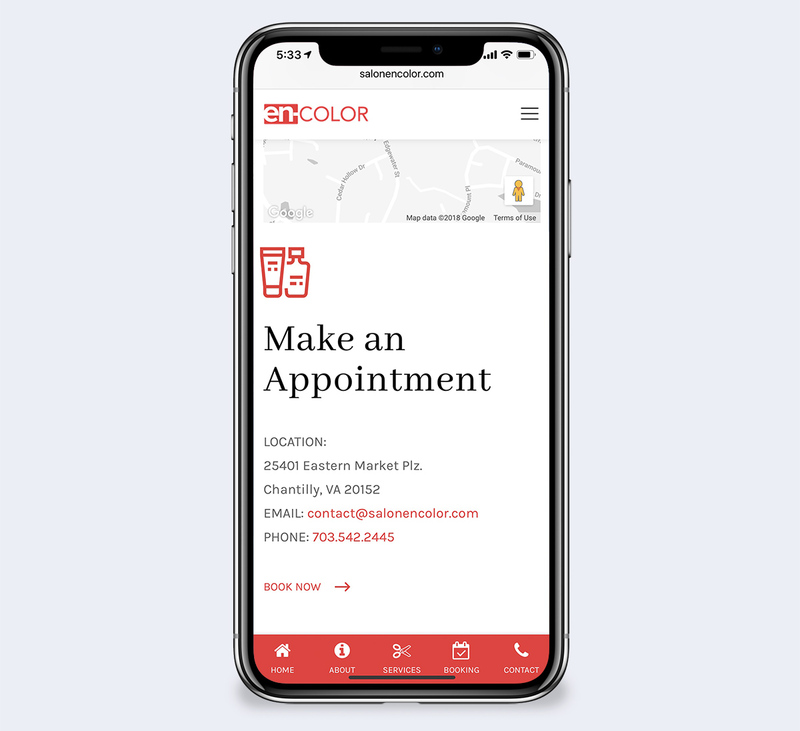 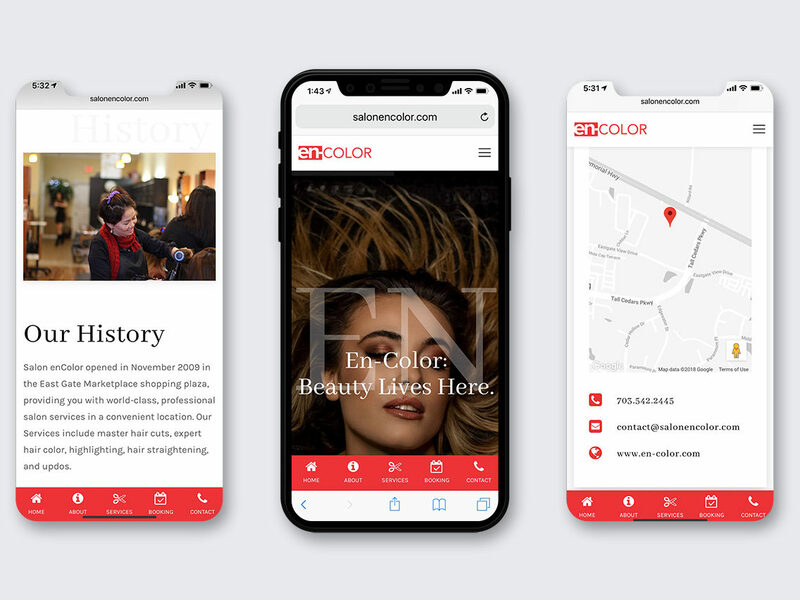 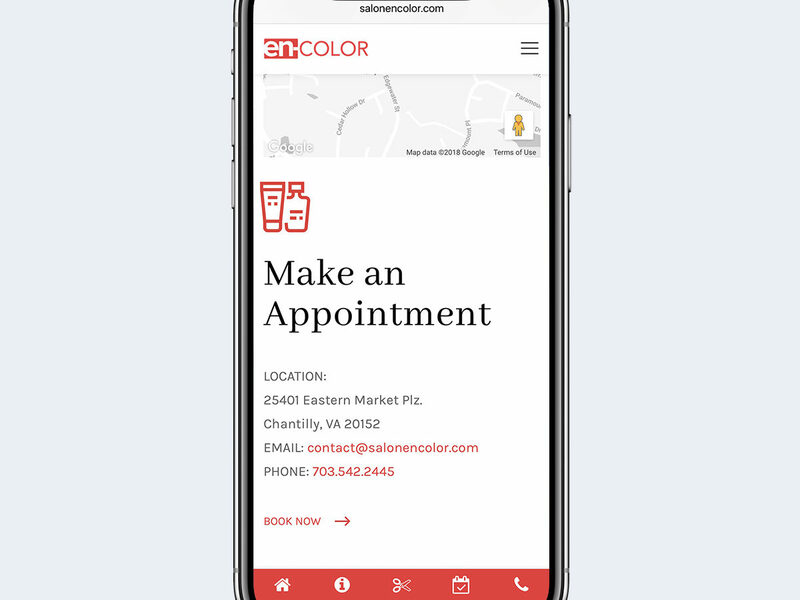 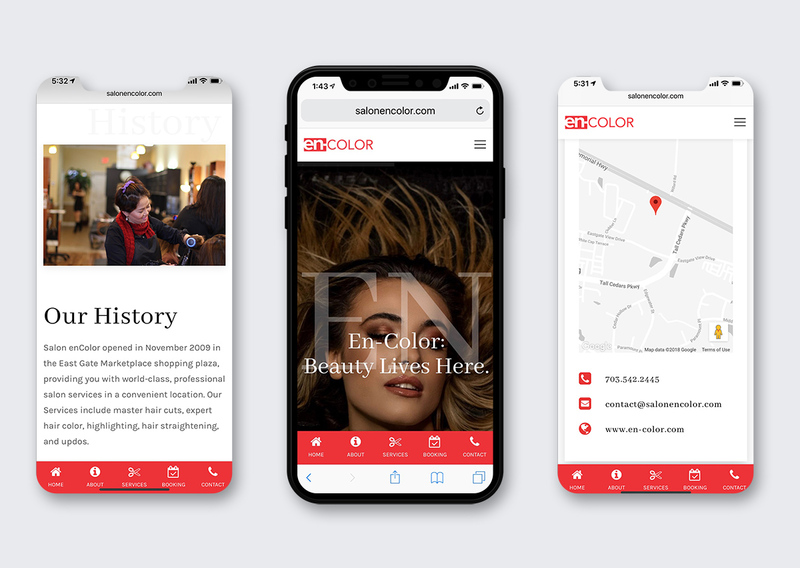 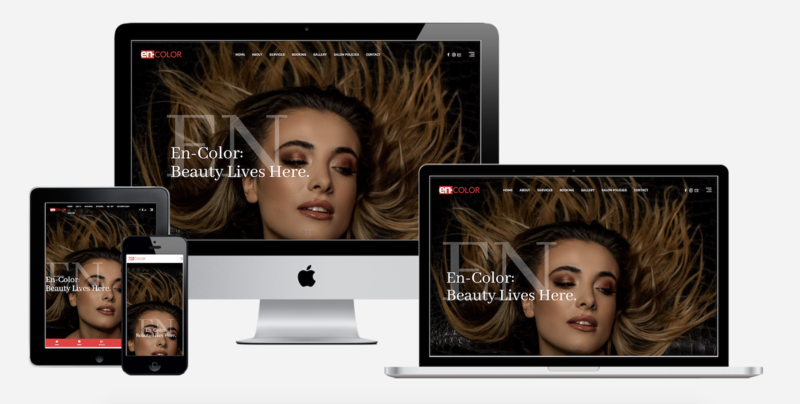 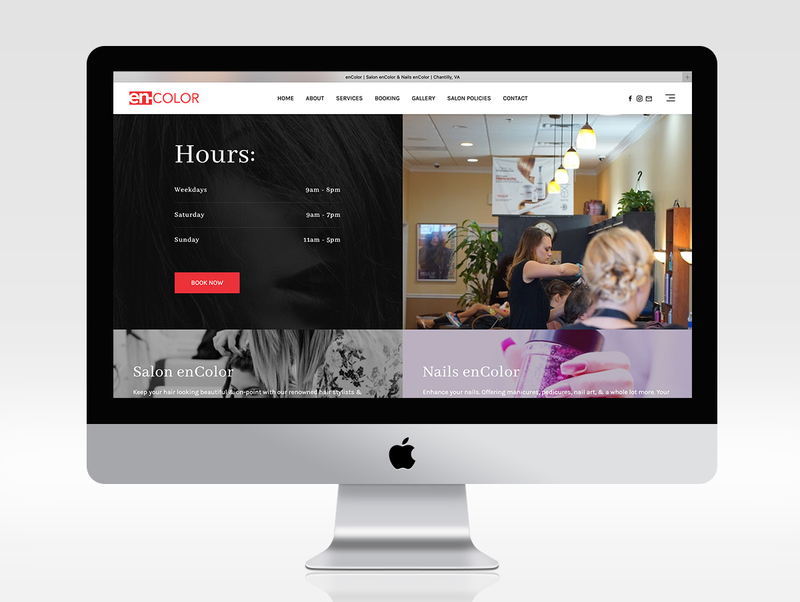 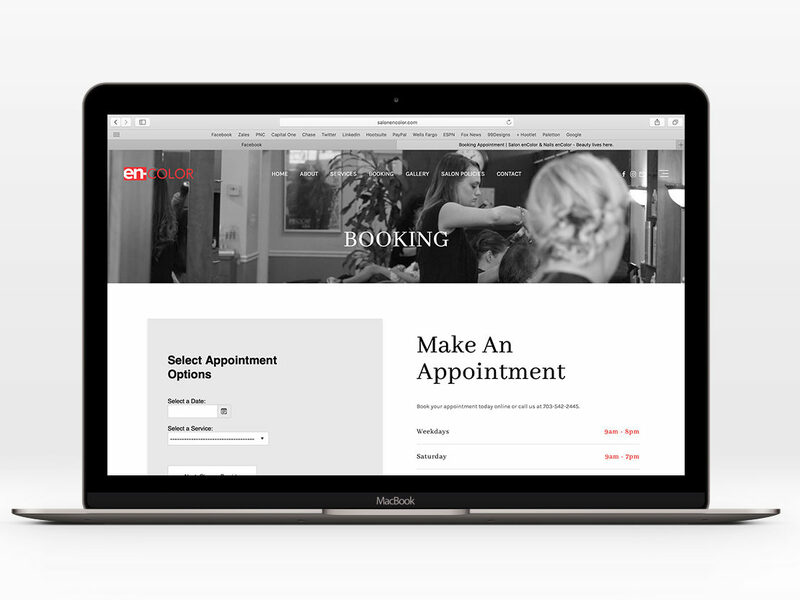 After expanding their business to include both hair and nails, Chantilly, VA based Salon enColor needed a new logo and website redesign to reflect the change. They wanted a whole new look and feel that would combine information for their popular hair salon along with their soon-to-open nail salon located right across the street. 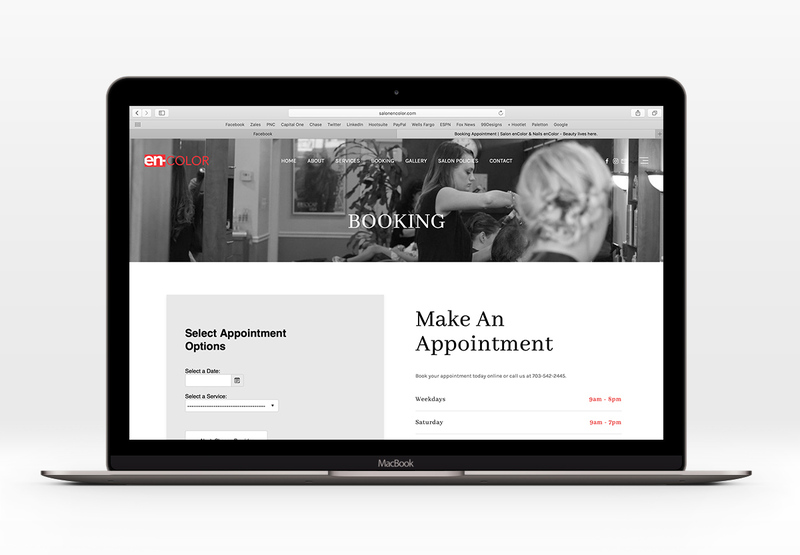 The result is a modern logo/identity that drops the word “salon” and energizes with a youthful bright red color, and a modern, minimalistic new website featuring a mobile bottom nav bar for a fluid user experience, beautiful grayscale imagery throughout, and a built-in booking option for easy scheduling of appointments – combined with the all the normal info you’d expect to find on a small business site.